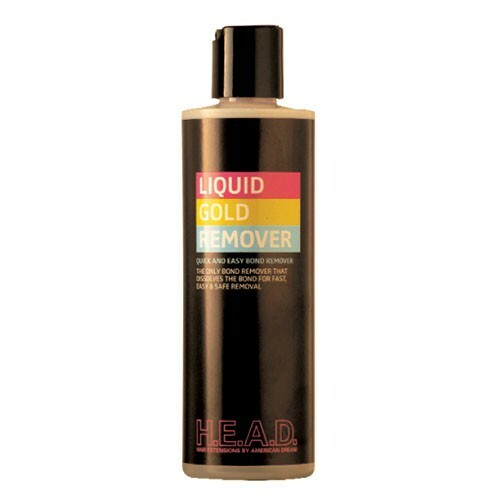 The Liquid Gold Remover is specially formulated to remove Liquid Gold Bond quickly and safely. It can also remover resin bonds and dissolves most other brands of bonding glue. As it is acetone free it will not dry up your hair extensions and is suitable for sensitive scalp conditions. Extensions should always be removed by a professional.